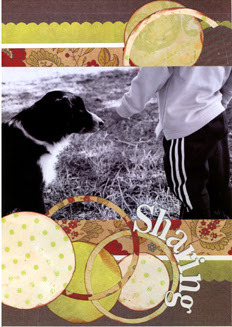 Just wanted to add to todays blog, the LO i did for Kim Archers challenge at Scrapboxx. 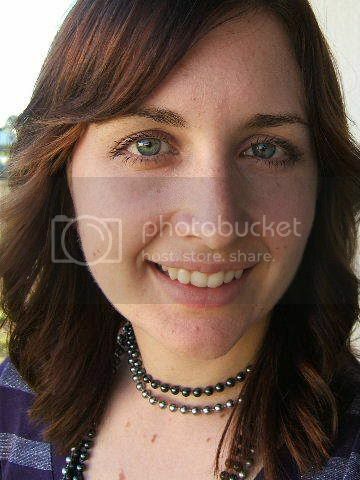 We had to do a layout with at least 3 circles either using our photo's or pp/cardstock. Thanks Kim. Great challenge!! Also is this layout for Ali's challenge. To create a layout with 3 of everything. Three photo's, three words in the title, etc.......So thank you Ali. Another great challenge!! Love the LO's, the one here and Ali's challenge too! Enjoy the wedding...strapless sounds VERY cold to me at the moment! Will miss you at the CC, but have a wonderful weekend away! Hi Char! Just found your blog.... Your layouts look awesome! Have a great weekend! 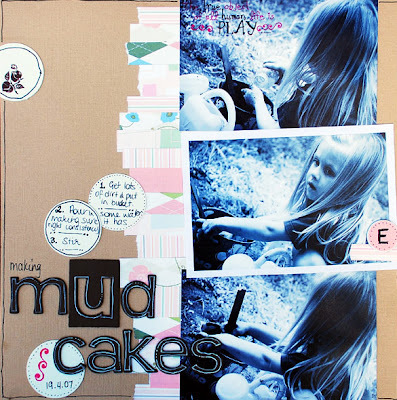 Love the layouts...especially love the mud cake pics!